Hello to my readers. Just wanted to let you know my book, Living in the Heart Place With your Angels; Daily Angelical Whispers Throughout the Year is out and on Create Space. The book will also be on Amazon, Amazon Kindle, Amazon Uk amd Amazon EU after mid week of next week. 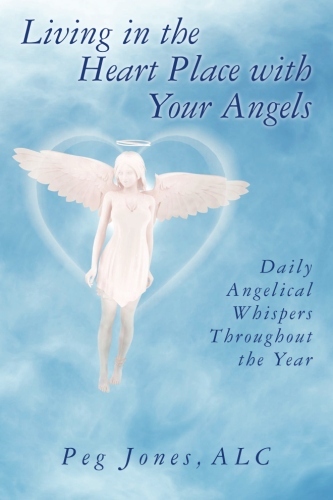 The book has an angel message for each day and a journal exercise for each message too. Here is a link for Create Space https://www.createspace.com/4081788 There is a write up of the book and u are able to purchase if would like to also. The feathers that you find as you walk along are signs that your angels are ever so close. Know that feathers, whether big or small, are signs that we, your angels, are listening very closely and that we are near. Let this be a reminder of our love for you. You are always on our minds, feather or no feather. Keep the feathers and remember each time that you found one and what the circumstances were. They will make sense to you as time travels by. Know that we care for you and that your happiness is most important to us. We send you much love. Have you ever found a feather that came to you at the exact time you needed to know your angels were near you? Take it as a sign from your angels. Write about the feathers that have found their way to be near you. Think about it and journal about it.